If you're considering downsizing to a tiny house (or even just a smaller house), you don't really need to spend your vacation in one just to see if you like the tiny way of living. 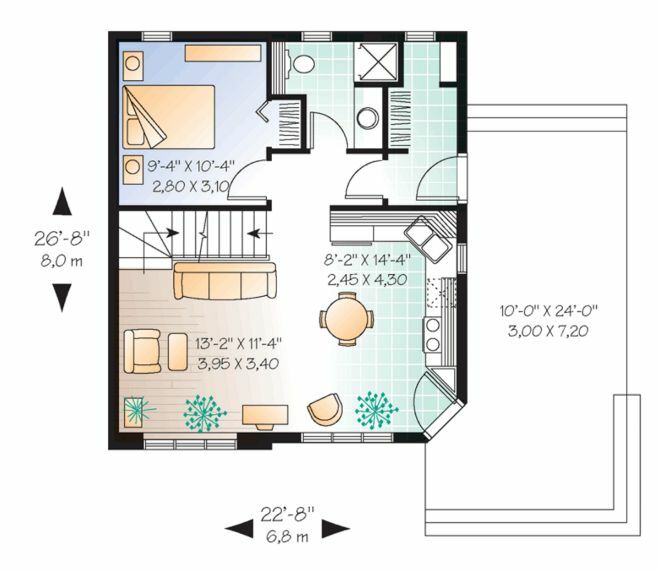 Another possibility is taking a look at some floor plans to understand how these tiny houses are designed and get an idea of how your life would be in one of these tiny abodes. Also, looking and browsing through some floor plans may help you in case you have any doubts on what's your favorite style or what design may be better for you. 1. Tiny Cottage by HousePlans. As you'll see below, this charmer of a tiny cottage has everything on one floor, including a walk-in closet in the bedroom. 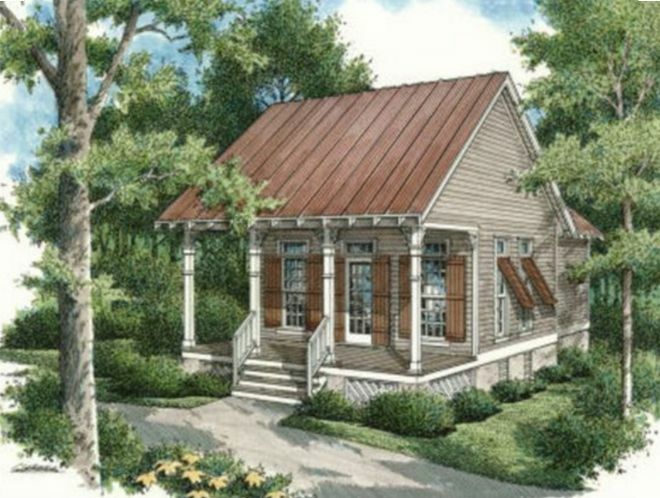 In its 569-square-feet, the cottage includes 1 bedroom, one bathroom, a utility room with washer and dryer and air conditioning, a covered porch and a combination of living room, dining room and kitchen with pantry and breakfast nook. 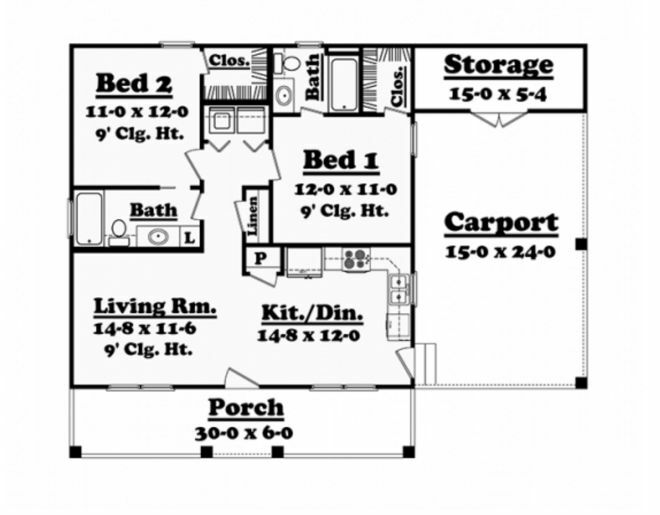 In case there's something you're not sold on this place, House Plans informs that it's actually possible to customize this plan. 2. Blue cottage, by House Plans. This design can also be found on House Plans. 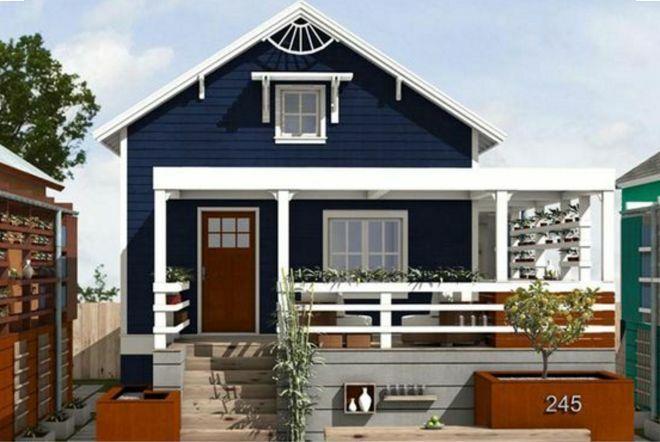 This 891-square-foot cottage includes no more and no less than 2 bedrooms and 2 bathrooms. The common area acts as living room, dining room and kitchen. 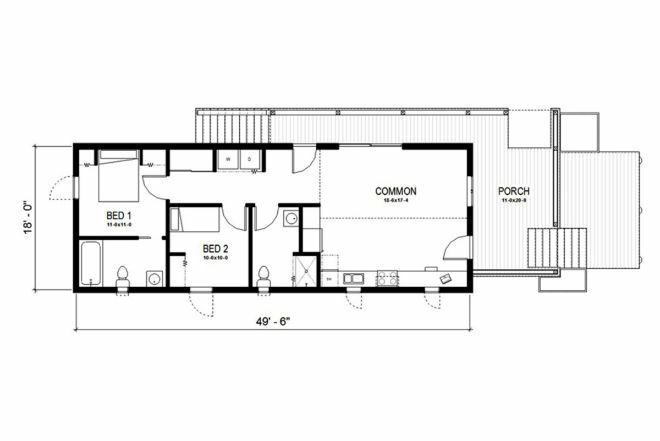 There's also a laundry area and the porch is a total plus in this design. The porch (an extra 450 square feet) is designed to "fulfill specific programmatic roles." The platform on the front of the house acts as an outside foyer and it's framed by two large planters. The area on the side also features shelves that double as railing. 3. The Edgemor Cottage by Ross Chapin. 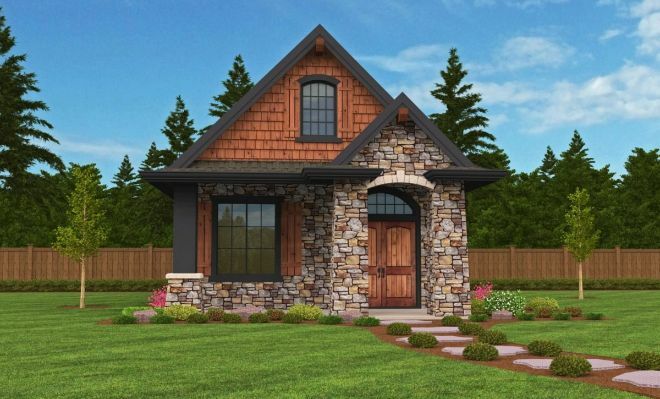 The Edgemor Cottage may be large for a tiny house (it's 1292-square-foot). However, it's such a pretty design that we just needed to include it on this list. On the first floor of this beauty you'd find an ample, bright living room, with a separated dining area, open kitchen, a full bathroom and bedroom and a laundry area (although there's also the possibility of locating the laundry on the study upstairs). The second floor has a three-quarter bathroom (including a shower), a bedroom suite and a study. 4. 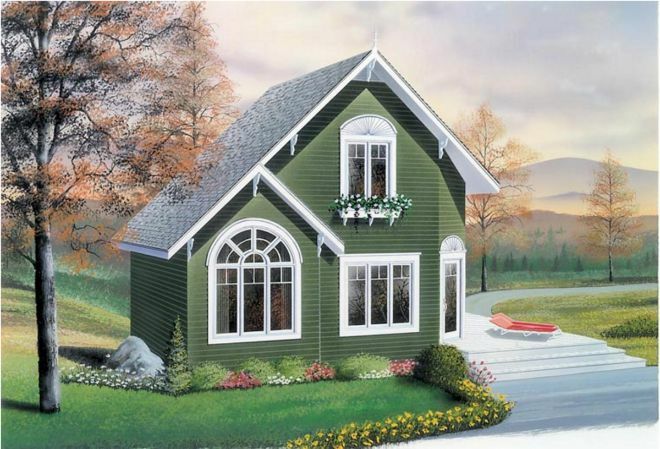 Green Cottage by Family House Plans. 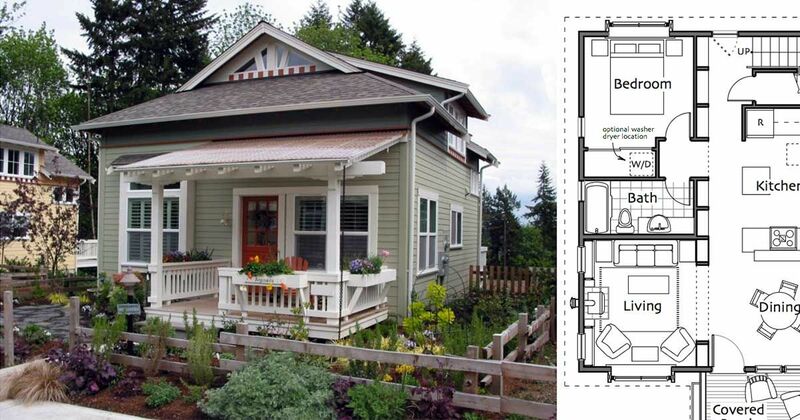 This 991-square-feet cottage also has two floors. On the first one, one can find a multi functional common area that doubles as kitchen, living and dining room. There's also a bedroom, a three-quarter bathroom (with shower) and the entrance with a foyer that includes a closet and a storage area with shelving. 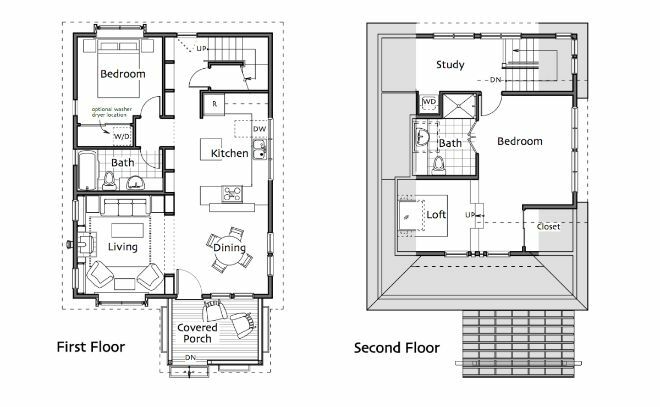 On the second floor, there's a second bedroom with a walk-in closet, a full bathroom and a lovely living area that opens to the living room below. 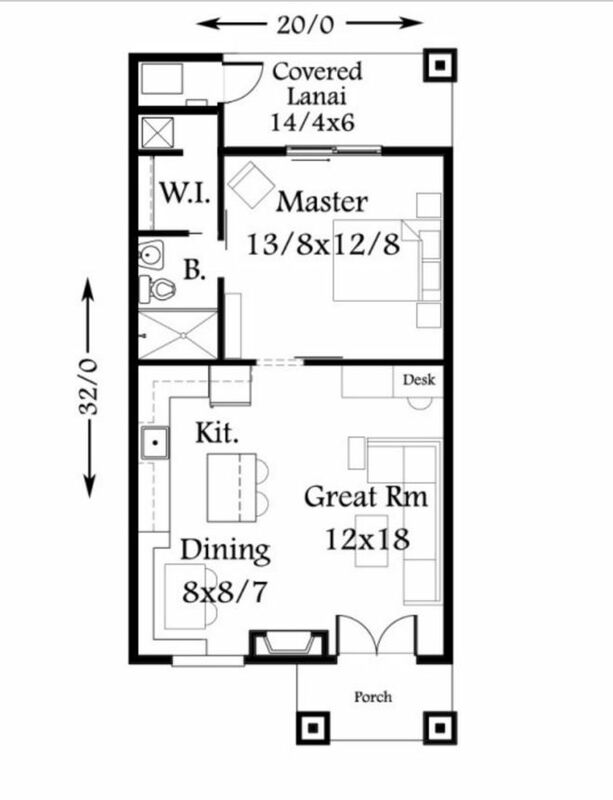 Family Home Plans also notes that this house comes with the option of a basement. 5. The Hummingbird by House Plans. House Plans notes that the Hummingbird, despite being their smallest creation, is also considered their "most marvelous." In its 480-square-foot (although it is also available in 560-square-feet), it packs a wonderfully airy and open living area with a fireplace. The fully functional kitchen comes with the option of a dishwasher, washer and dryer under the counter. The full bathroom comes with a European-style glass enclosure. The bedroom comes equipped with a full closet. 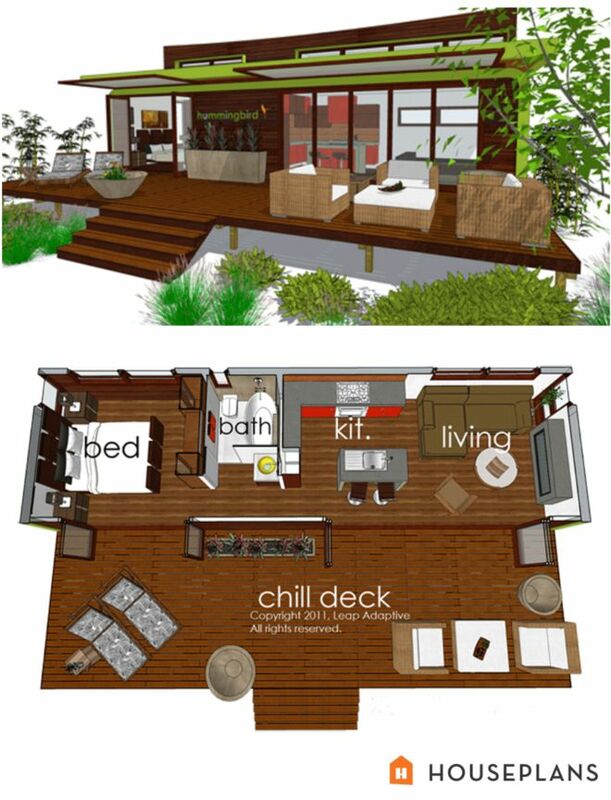 Perhaps what catches the eye the most in this design is the "chill deck" an area that opens the house to the outside and doubles the living area. The Hummingbird comes also with the option of an attached garage. The house also comes with 40-square-foot of aditional storage in the attic. 6. Mark Stewart's Montana tiny bungalow. This lovely 640-square-foot designed by Mark Stewart has everything you need on one floor. As they explain on their website, "a built-in desk area, and the kitchen has two eat-in options with the free standing island and built in nook." The bedroom comes with a walk-in closet and a full bathroom. This design also comes with the option of an upstairs loft, accessible by a ladder in the bedroom. 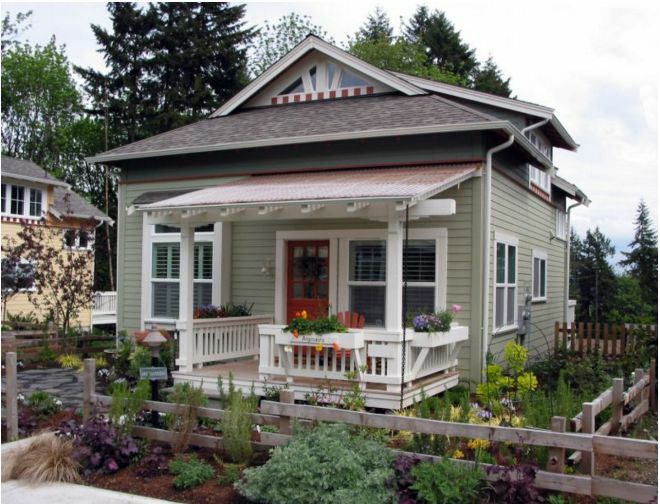 It boasts of covered back and front porches and it's been deemed as a "not so big tiny house" by the designer. 7. 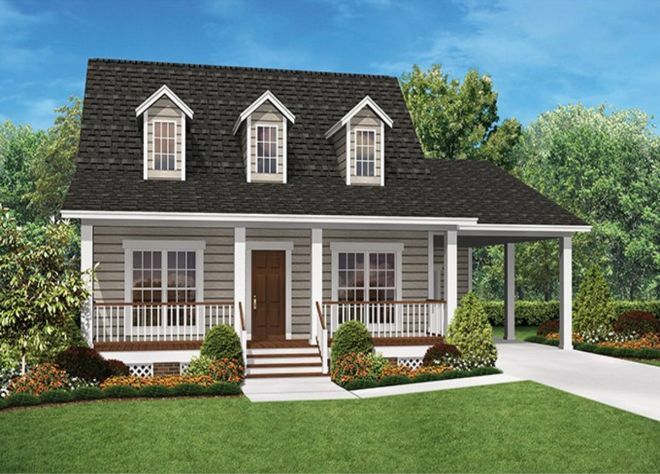 Ranch-style cottage by EPlans. This beautiful tiny home by EPlans stands out thanks to its many storage options and very smart use of the space. 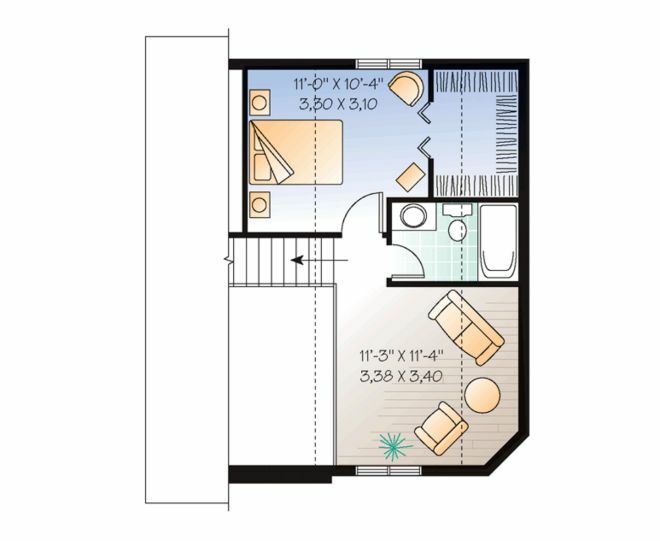 In its 900-square-feet, it boasts 2 bedrooms (both with walk-in closets) and 2 bathrooms. It also comes with a linen closet and storage behind the carport. 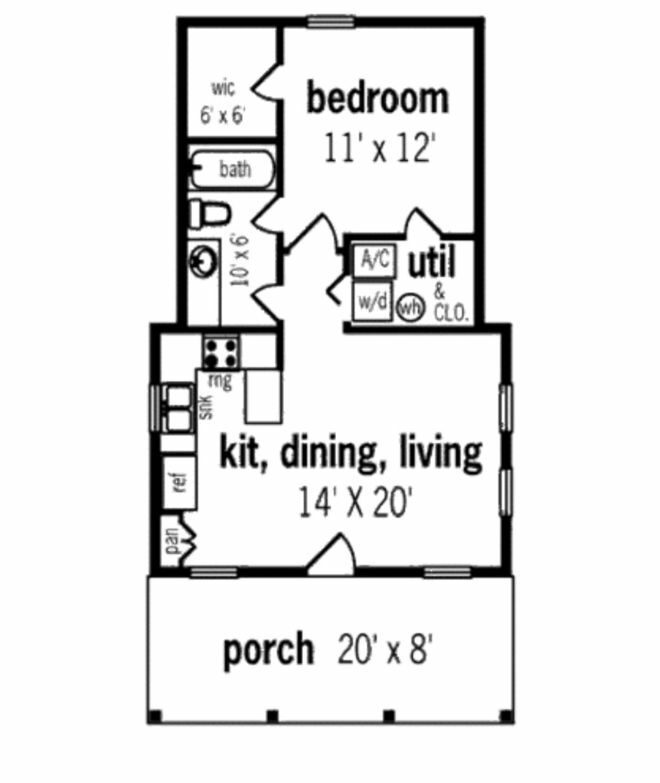 The kitchen and living area design is open and it counts with a laundry area, a front porch and attic storage space. Which one was your favorite plan? Please, don't hesitate to SHARE these ideas with all your friends on Facebook so they can be inspired by them too!